Home > simulation > Dare we hope Atari can do a RollerCoaster Tycoon game well on Switch? Dare we hope Atari can do a RollerCoaster Tycoon game well on Switch? I am so very conflicted right now. 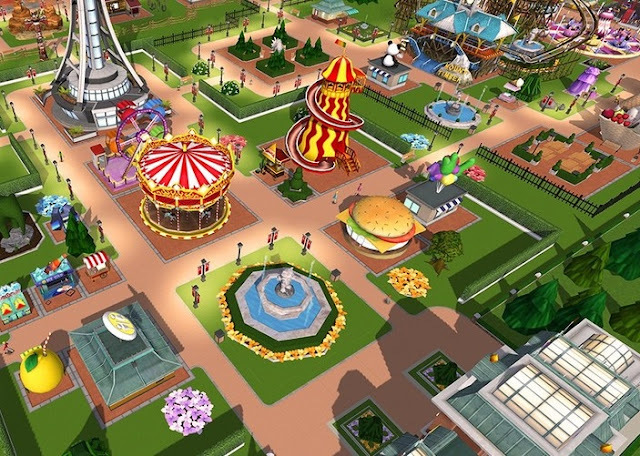 Atari has taken to crowdfunding (not Kickstarter, but StartEngine) to raise some money to put a RollerCoaster Tycoon game on Nintendo Switch. I don't know about you but I can't think of a console I'd want to play RollerCoaster Tycoon on more than my Switch. I've got the RollerCoaster Tycoon games on iPad and love them to bits, but the Switch is my go-to portable gaming machine now, so if I can play my beloved sims on it, so much the better. Related reading: Matt's review of RollerCoaster Tycoon classic on iPad. It's Atari, so there just had to be a but. The game being proposed would be developed by Nvizzio Creations, the studio otherwise known as 'those guys that somehow almost managed to destroy the entire RollerCoaster Tycoon franchise with that free-to-play abomination." And while we are being promised that this would be an original game designed expressly for the Switch, I'm just not going to have any faith in the developer until I see it in action. It's interesting that the development team has gone to StartEngine through. This is a very different crowdfunding engine and is designed more for investors and companies looking for seed funding than it is people who just want a game to play. The minimum investment is $250, and you need to pledge $1,500 before you'll even get a copy of the game. Instead of getting a game to play, though, what you will get is a percentage of any profits the game makes, for 18 months after it launches. If you're looking at the video wondering why the Atari CEO is more interested in repeating sales numbers and talking about the heritage of Atari as a company, that's why - this video is for people looking to make some money from games, not "gamers." It's the first time Atari has run a crowdfunder, and it's worth nothing that it's already been successful to the minimum money Atari was looking to raise: it was looking to raise $10,000... and it's already at $13,350 from 16 backers at time of writing. So some people have faith in Atari and the RollerCoaster Tycoon brand, at least. If you have a couple of hundred dollars and want to invest yourself, here's the page to do so.